Chris Algieri vs. Joshua Clottey On The Horizon? Home / Press Releases / Chris Algieri vs. Joshua Clottey On The Horizon? Opening with a ten seconds of silence to remember the fallen victims on the twelfth anniversary of 9/11, Joe DeGuardia hosted a press conference today for Star Boxing's "Rockin Fights 10" set for this Saturday, September 14 at The Paramount in Huntington, New York. The press conference was held at Meehan's of Huntington, directly across from The Paramount. "This is a day that is important to all Americans and we remember those lost on September 11, 2001 with boxing's silent ten count." 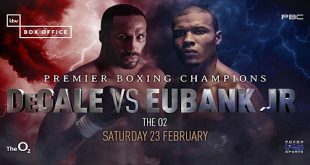 "We've got a terrific card of professional boxing headlined by 'The Fighting Pride of Huntington', Chris Algieri in the main event and former world champion Joshua Clottey in the co-main." "As Babe Ruth built Yankee Stadium, Chris Algieri has built The Paramount into one of the premier venues for boxing in the country." "Joshua Clottey is a former world champion who has fought the top names in boxing including Manny Pacquiao and Miguel Cotto. His fight against Cotto at Madison Square Garden was a sensational war that most had him winning." "As we know this Saturday is the biggest night in the sport, for no extra cost we are offering fans the opportunity to watch the Mayweather/Alvarez fight live from Las Vegas following the main event. This is the best bargain in New York City to watch the fight." "We've had a great camp and I'm very excited to be fighting this Saturday night. 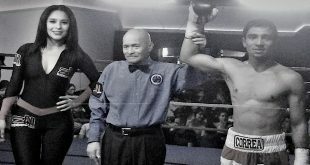 I've prepared well and I'm ready for the challenges that Wilfredo Acuna poses." 'It's great to be back at The Paramount, the support here in my hometown of Huntington has been outstanding." Known as 'The Fighting Pride of Huntington", Algieri, 17-0-0 (7KO's) with be making the third start of his 2013 campaign, clashing with tough Nicaraguan veteran Wilfredo "EL Zurdo" Acuna, 14-12-0 (11KO's) in the main event. 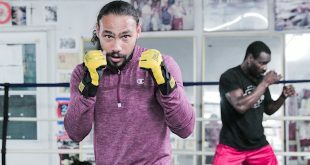 "I've been off for a while but I'm anxious to get back in the ring and start my path towards winning another world title." Now competing at junior middleweight, Clottey, 36-4-0 (22KO's), returns to the ring after an almost two year layoff to face Dashon "Fly Boy" Johnson, 14-12-3 (5KO's), of Escondido, California. 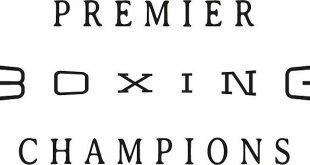 Heavyweights will also see action as the Kevin Rooney trained Constantin Bejenaru, 3-0-1 (2KO's), of Catskill, New York, will battle Buffalo, New York, native Excell Holmes, 2-1-1 (1KO) over four scheduled rounds. Opening the show, Wendy Toussaint, 1-0-0, returns to The Paramount, facing off against pro debuting Koree Boyd of Babylon, New York in a scheduled four rounder. Following the action in the ring, boxing fans will also be able to enjoy the live telecast from Las Vegas of the Junior Middleweight World Title Championship between Floyd "Money" Mayweather and Saul "Canelo" Alvarez from the MGM Grand.